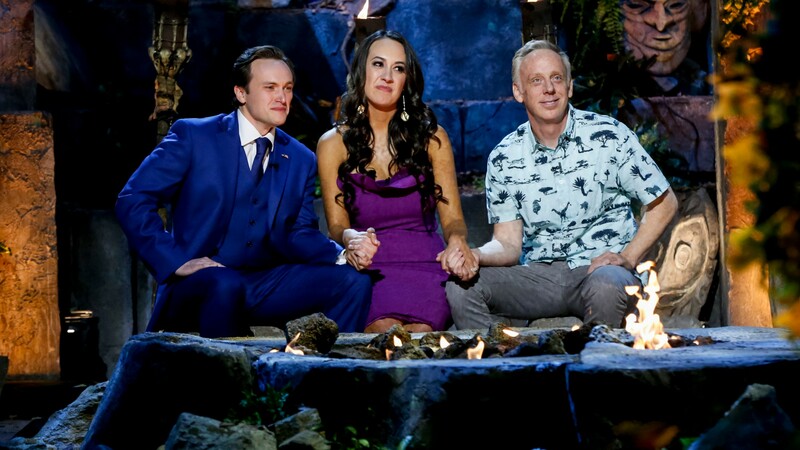 It was a nail-biter, but we have finally arrived at the end of another season of Survivor. Earlier this week, Survivor: David vs. Goliath crowned Nick Wilson winner, giving him not only big bragging rights but also a cool $1 million. How does he feel about winning one of the show’s most celebrated seasons? What does he plan to do with all that money? SheKnows was in Los Angeles to chat one-on-one with Wilson on the finale’s red carpet, where he offered his thoughts on all that and so much more — including some insight on why he was confident he was going to win the game. Plus, Wilson told us a fantastically funny behind-the-scenes moment that he’s really disappointed didn’t make it on TV. SheKnows: When you made it to the final vote alongside Angelina and Mike, how confident did you feel about winning the game? Nick Wilson: I was pretty confident I was going to win, but I did know that Mike played a very good game, and I knew I did not get every vote. I was probably 80 percent sure I won, but I was 100 percent sure Mike had some votes and it wasn’t going to be one of those 10-0-0 deals. SK: What are you going to do with the $1 million? NW: Hopefully not too much. I did get a truck, and I’ll pay that off. Then I’ll hopefully just chill for a little while until I can get a sense of what to do. I’ve never had this much money before, and I never dreamed I would. SK: After winning the last Immunity challenge, you were given the choice of picking one person to join you at the final Tribal Council. You chose Angelina. Walk us through that decision. NW: It wasn’t an instantaneous decision. I basically just came to the conclusion I would have the best shot with Angelina and Kara. The fire-making challenge has really changed the game. Final three deals are meaningless. You either need a final two or a final four. You can’t choose everybody to sit at the end with. If I had the choice, I still might have taken Mike because the Jabeni three really was close. I thought it would be in my best interest to take Angelina. SK: Were there any other players you were really hoping to go to the end of the game with? NW: I think maybe after Carl was blindsided, I said in one of my secret confessionals that I wanted to go to the end with Mike and Angelina. I was able to make that happen. Between that time and the end, Mike had really turned on his game. He wasn’t a goat to sit next to, by no means. For a long time, we just thought that he’s already successful. At the end of the day, this is a game for a million dollars — are you gonna give it to the guy from Kentucky or are you gonna give it to the Hollywood elite? From early on, I wanted to go to the end with Mike and Angelina, but I also was so close with Carl and Davie for a long time. I felt like, may the best man win — if we can get there together, I would love that too. SK: A lot of fans are saying this is one of the best seasons ever. How do you rank it? NW: I’m a superfan, so I’m about to nerd out a little bit [laughs]. I think Heroes vs. Villains is always going to be the biggest season. It’s hard to replicate that with the players you’ve already seen before, but I think as a newbie season with no returnees, I think we’ve got to be up toward the top. SK: Is there any behind-the-scenes moment you wish would have made it on the show that was left on the cutting-room floor? SK: How has this experience changed you? NW: Personally, this is before I even won, just being out there away from everything in a more introspective place where you’re taken away from the distractions and the comforts of everyday life. It just showed me how blessed I am and how grateful I should be for all the things we have to appreciate every day, especially relationships with family and things like that. For me, personally, I grew a lot, especially based on being thankful and grateful for everything the Lord has given me with all the relationships I have. I was so proud to be part of this season. I knew as soon as it was over, I thought we had an epic season. To win this game in a season like this, it’s amazing. SK: What has the reaction from your hometown been? NW: That’s probably what I’m most proud of: To be able to represent my community in a way that can hopefully inspire others that are there. I’ve got nothing but love, and I appreciate them so much. I think especially with the story of my mother [dying of an overdose] and me being able to actually speak about it and open up and get out of my shell, I think, sadly, that story resonates with so many people in Appalachia with a family member or friend they have. SK: What about the fan reaction overall? NW: The fan reaction has been pretty good, I think, especially because it’s been a favorite season they love. I’m probably more in tune with my local community because I don’t really get on Twitter — it’s a dangerous thing to do when you’re on TV. Everybody at home is proud of me, and that’s what I really care about. No matter what anybody else says, as long as people back home in the country love it, I’m happy.